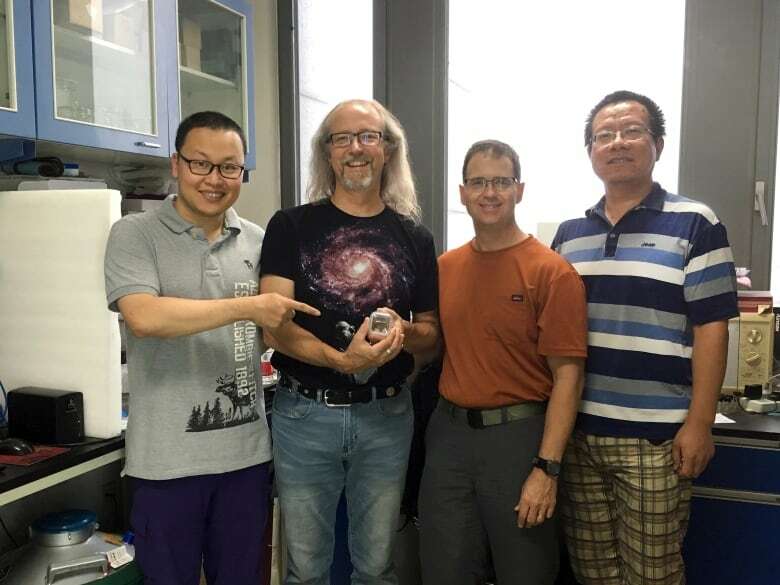 "It's spectacular to have a baby snake in the fossil record because, of course, they'd be such tiny, delicate things," said Michael Caldwell, a biology professor at the University of Alberta who called the discovery "beyond exciting." "This is a big deal," he wrote. 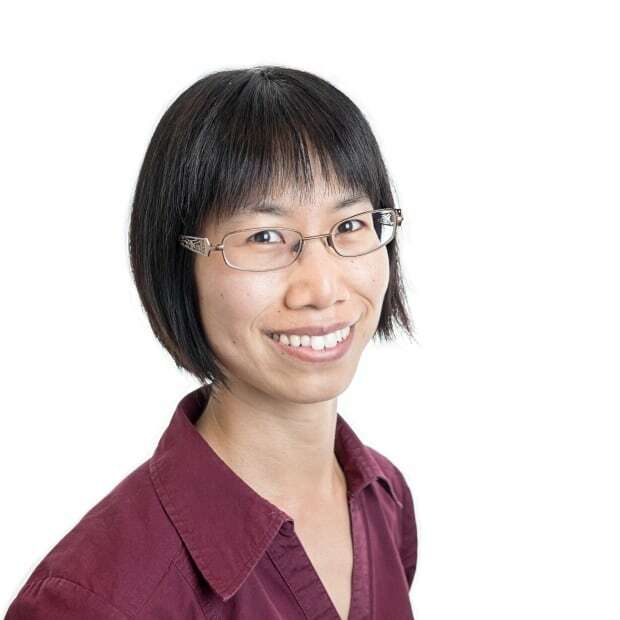 Xing met Caldwell while Xing was doing his master's degree at the University of Alberta between 2010 and 2012. 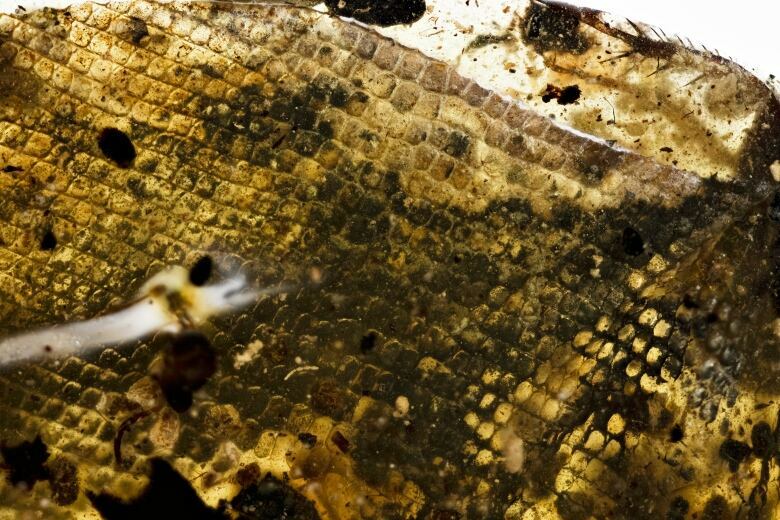 Since Caldwell was an expert in reptiles, Xing proposed collaborating on a study of the snakeskin. After Xing confirmed that's what it was, the fossil hunters, described by Xing as "citizen scientists," bought the fossil. 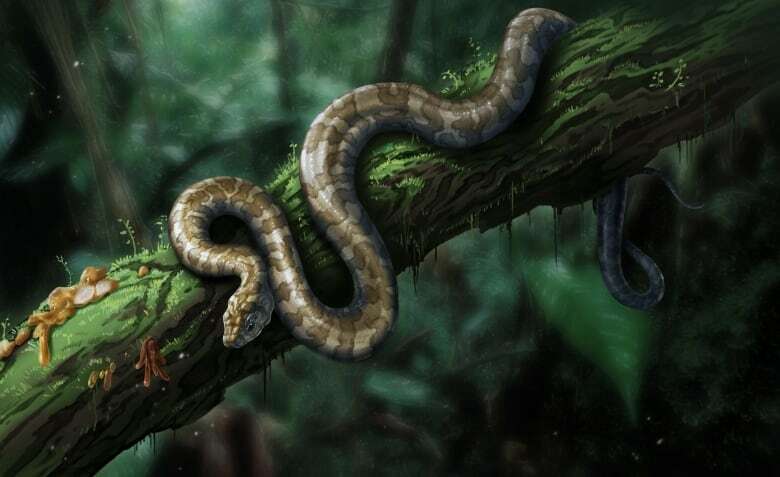 Some snakes give birth to live young, including those found to be most closely related to the fossilized baby snake, such as the red-tailed pipe snakes of Southeast Asia. Others lay soft, leathery eggs that are not easily preserved and haven't been found in the fossil record to date. In the case of the baby snake fossil, the researchers aren't sure whether it is an embryo or a newborn, or whether it was a live birth or hatched from an egg. 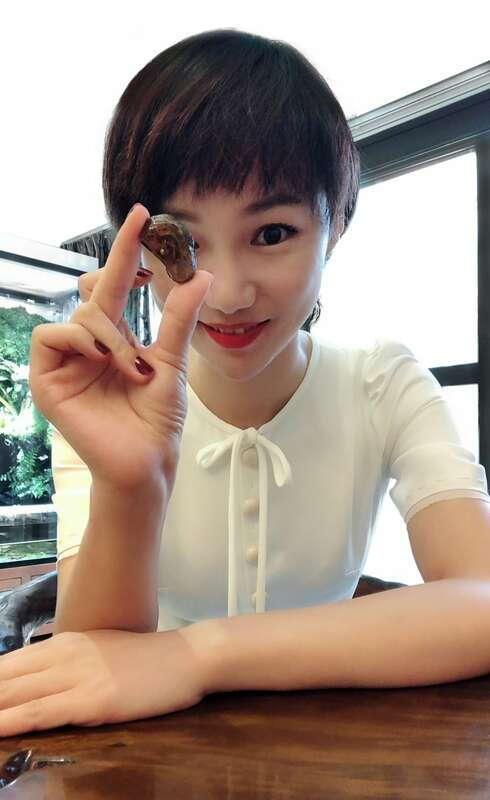 Xiao Jia, a Chinese amber specialist, holds the amber fossil of the baby snake that she donated to the Dexu Institute of Paleontology. The snake has been named Xiaophis myanmarensis in her honour. 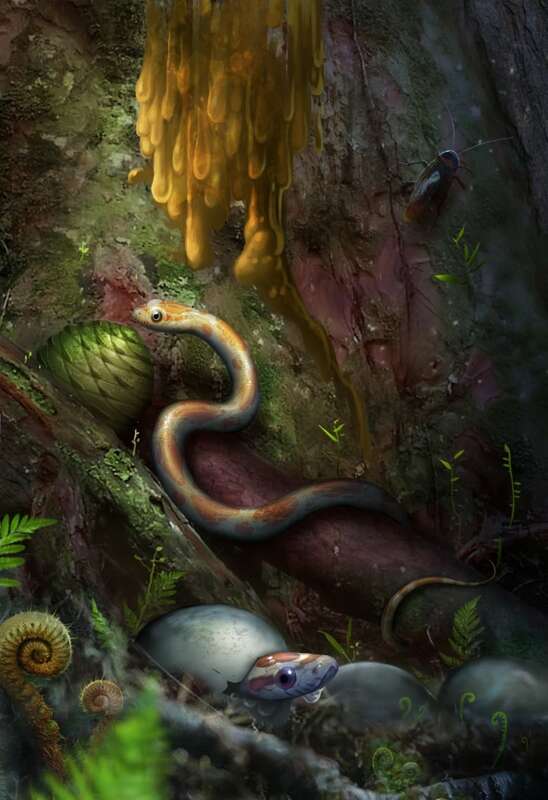 (Lida Xing/China University of Geosciences Beijing)What's clear is that something unfortunate happened very early in the snake's life, and it ended up completed immersed in a blob of tree sap. When the sap hit the forest floor, it picked up all kinds of other material — like "bugs and plants and cockroach poop," Caldwell said — that provide valuable information about the ecosystem where the snake lived. 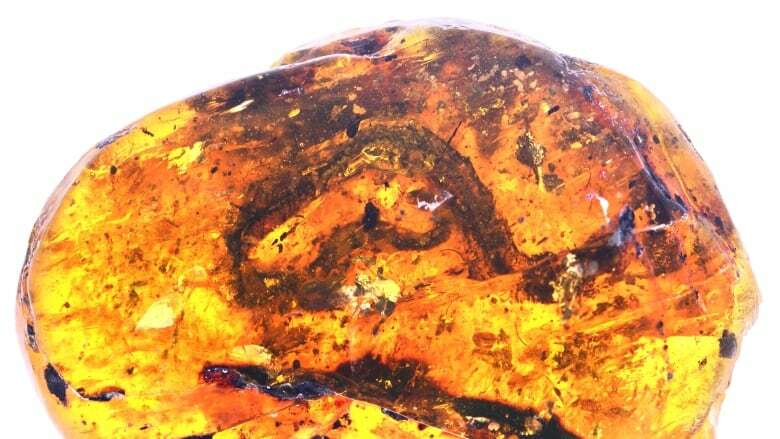 "There are literally tens of thousands of these little amber blobs," said Caldwell. "They collect together like plastic debris, I guess, on the edge of a beach and they get covered up by beach sands." That's how they end up embedded in sandstone deposits like the ones mined in Myanmar. The researchers don't know how big the baby snake would have grown had it survived, but Caldwell estimates that it probably would have been about a metre long. The new snake species has been given the name Xiaophis myanmarensis, which means "dawn snake of Myanmar." As for the snakeskin, Caldwell estimates it was shed from a snake about as long as a baguette and "quite big around," but it's impossible to tell what kind of snake it was.